Is social selling on your agenda for 2018? If not, it should be. 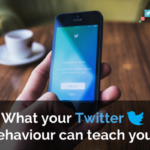 According to Forbes, 78% of sales professionals who practice it outperform their peers and a study from IBM found that 75% of customers say they use social media as part of the buying process. That and the fact that more and more businesses are incorporating social selling into their lead generation strategies means it’s more important than ever to get on board and start reaping the benefits. 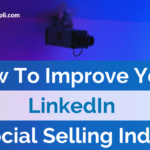 It may sound like a complicated process, but getting started with social selling is actually easier than you think, all you need are the right tools and the right training. In this webinar on demand, we’ve teamed up with one of our clients to show you just how easy it is to launch a social selling programme and start seeing results. We work with businesses from all different industries and we’ve helped our clients to overcome various challenges around social selling, from helping sales and marketing teams to become better aligned, to enabling sales professionals to have more meaningful conversations with their prospects. In 2017 we started working with Duck Creek Technologies, a Boston based B2B tech supplier. Duck Creek were looking to accelerate their brand awareness and increase the ROI of their marketing content while enabling their sales team of 250 people to utilise social media as a sales tool. SoAmpli founder Maz flew out to Boston to host an onboarding session with their sales team and remarked how instantly the team LOVED the concept of social selling. Since then, Duck Creek have been incorporating social media into their sales strategy, through SoAmpli, to drive real results. Duck Creek has also been able to take advantage of our new Industry Tracker, a competitive analysis tool that allows sales and marketing teams to access real-time insights into the behaviours of competitors, prospects, and influencers so they can make smarter, more informed sales decisions and create impactful content solutions. In this webinar, Louisa Rogers, Digital Marketing Manager at Duck Creek joined Maz Nadjm, SoAmpli Founder and CEO, to share her top social selling tips. 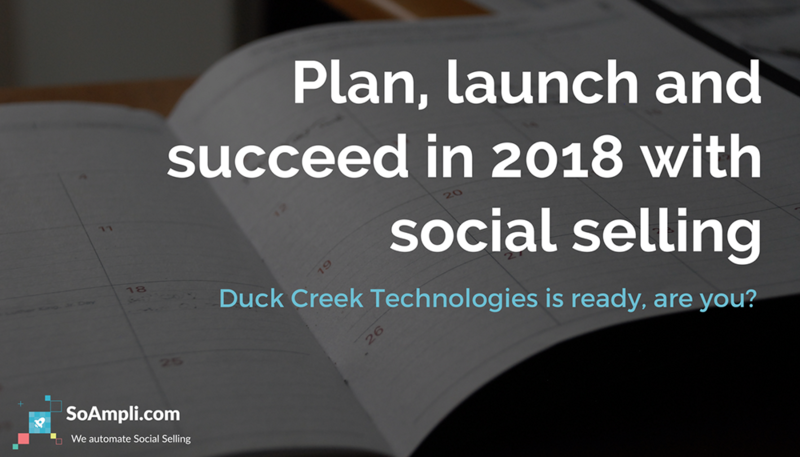 Find out how to plan, launch and succeed with social selling in 2018 here. The webinar is free and you can watch it at your convenience!